Our chefs are highly regarded for creating wholesome, freshly-prepared dishes, using local produce as much as possible. I took my mum for lunch on her birthday. She’s 87 and has been enjoying The Catherine Wheel for many years. Since her stroke it’s been harder to get to, so it was a lovely surprise when I took her there. The food was great as usual, simple, well done pub grub, with chunky chips and huge portions. Lovely service throughout. We were able to bring our little dog who also enjoyed the experience watching people come and go. No issues filing his water bowl or being able to put his little bed down beside our table. Welcoming, comfortable, satisfying and consistent. Well done guys !! Excellent food and service on a very busy day. Well done all, thanks for a great meal! It was perfect for a family gathering. All the staff were very pleasant and attentive. And on Mothering Sunday too, when they were run off their feet. Highly recommended, and we will be going again. We were all looking forward to getting together to celebrate 2 birthdays and mothers day. We were really disappointed when my grandfather's meal (that arrived last) was the wrong one so this was returned and took a long time to come. By this point everyone else had finished. There was also a mix up meaning the 2 children's chickens roasts didn't arrive. The poor girls were very hungry and we made do with parts from Everyone else's meals instead of waiting even longer for theirs, especially as the didn't understand why they were not allowed to have their meal with all of us. Everyone that had a roast said it was cold. The side veg and potatoes that were served were also all very cold although all plates were extreamly hot. The table staff were apologetic over the missed meals and did offer 2 free desserts or we would not have to pay for my grandfather's meal but We were so dissapointed we didn't want to stay for puddings. Had lunch here with 2 friends and we all agreed that the food, the staff, the venue and the service were all excellent. 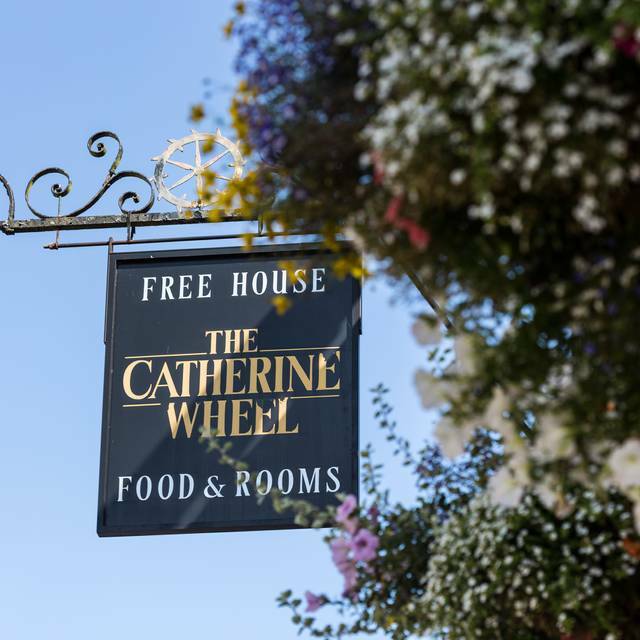 We will definitely visit again and would happily recommend the Catherin Wheel to friends and family. Would have received 5stars except that one of my friends on a table of 6 received a cold plate & a large roast potato not cooked in the middle. This was remedied by cheerful & apologetic staff & a fresh serving was supplied on a hot plate . Smaller roast potatoes,well cooked, were also served . We had a lovely evening at the Catherine Wheel, food was very good, great service. My only slight moan would be access to the bar when ordering drinks, the bar was crowded with people on seats making it a little difficult to get to the bar. Overall we had great service and will definitely be back. Do her best to fit everyone in and ensure they are Looked after well . There can be a wait when full but it’s worth waiting for !! The staff are honest regarding wait times so You know when the food is coming abd it will s always served hot in piping hot plates. Food, Service and location were great. It was very noisy and tables very close together so not easy to have a quiet conversation! Maybe visiting on a different (not so busy!) day may be a good plan! Great food, great staff, great value. Highly recommended! This pub exceeded our expectations - Sunday Roast was superb with various side dushes, fresh veg & good gravy - as good as you can get. Dessert was off the scale and coffee was smooth and in large jug with side choc. Just such a lot of detail went into the offering and the Catherine Wheel deserves full praise for what they delivered - don't change anything cus we'll be back soon! Had a lovely meal with friends and our kids. The staff were great and very accommodating and the food was excellent and good value. The pub is very quaint and comfortable. Quite surprised and disappointed really as the reviews were very good. The quality of the food was poor, clearly cooked from frozen, mushy and tasteless. The fish pie was like wallpaper paste. After comparing it to what was coming out on the other tables I’d say choosing the fish and chips and fish pie was a bad choice. The roast turkey looked better from a distance. Strange dining experience as it’s quiet and partially empty, pairing that with the really underwhelming food made for a generally bad experience. Really friendly landlady, which was a small positive. A shame really as, being new to the area, we had high hopes. Had a SUPERB meal as always. Food was wonderful and lots of it too! Our local pub !! Definitely highly recommend it to everyone. This restaurant/pub is a little off the beaten track but well worth the drive. The seating is very good, large tables, there were 7 in our party and plenty of room with comfy chairs. We ordered food at the bar and once that arrived, the waiter and waitress were more than happy to continue taking our orders for drinks and deserts at the table. There were lots to chose from on the menu, we had two vegetarians in our party and there was more than enough choice for them too. Great food! Absolutely superb sunday lunch. No problems at all asking for gluten free options and one meal to be cooked well done. All food came out exactly as asked and tasted fantastic! We had the Sunday roast dinner and it was delicious. The staff were so friendly and helpful and the sticky toffee pudding was great. We shall definitely be back. This is a one of our favourite places. The ambience is just right, the staff are all nice people and the food was very good. Our second visit to The Catherine Wheel and it lived up to the first visit. The staff are friendly and helpful. The steak and kidney pie was exceptional, made with a flaky pastry and filled with steak, kidney and a delicious gravy. Portions are big but leave room for a pudding, I had fruit crumble with Marshfield ice cream, the only downside was the scoop of ice cream wasn't that big. A real find in a beautiful village. Limited parking but delicious food! Lovely pub with a fine range of beers and wines and an excellent menu providing good food in a relaxed environment. Very pleasant Sunday lunch after a morning spent at nearby Castle Combe. Two roasts - one chicken, one lamb - with generous portions of vegetables at very reasonable prices. Starters and sweets available as well. Attentive service and decent beer added up to a most enjoyable experience. Would certainly visit again. Within easy travelling distance from Bath and Bristol. The food was great and service welcoming and efficient. Lovely tasty food and a great choice. Will definitely go back. Everyone enjoyed their food. Great meal at local pub. Be going to this place for 20 years glad it’s not a gastropub. Still comfortable for locals and friendly. A beautiful Queen Anne (and earlier) building the Catherine Wheel is a genuine local pub. The food is unpretentious and reasonably priced. There is a small (smokers') garden at the side. Usually a choice of 3 ales together with lagers and ciders. Very friendly. Lovely Sunday lunch. Found the place by chance and felt very lucky to have done so. Outstanding food and service. I’d be a regular if I lived anywhere near there! 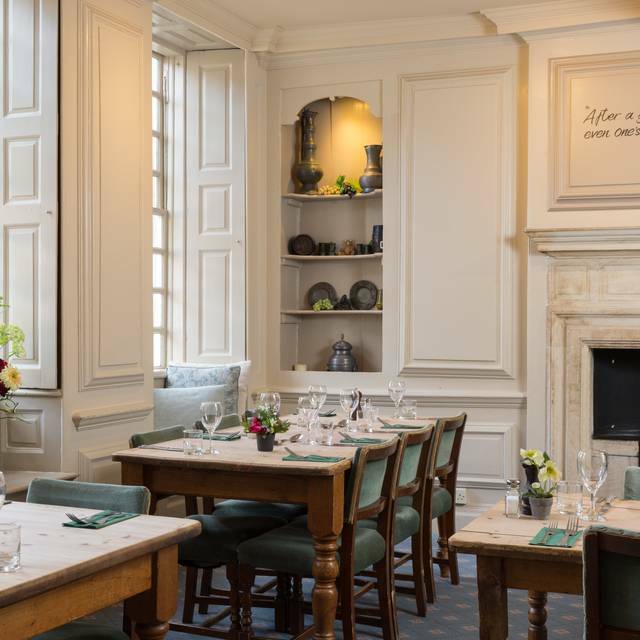 Charming rooms, very nice decor and the food was in the top 3 while walking the Cotswold Way. Excellent service and food. Good size quality portions. Great old pub/restaurant in a quint village setting.